Work at Bridgnorth since the New Year has been largely limited to the completion of re-tubing the boiler together with the riveting over of some of the side stays on the outer firebox sides. Following rejection of one of the two trailing side rods incorrectly profiled during the water jet cutting process, a replacement forging was produced by Somers Forge but, unfortunately, has failed a quality test and has also been rejected as unsuitable. Yet another forging will now be required. Regrettably, the production of a forged blank to the requisite specification can be a time consuming process and it is likely that this will have an adverse effect on the completion date of the overhaul project. It is now envisaged that the total cost of the current overhaul project will exceed £170,000.00 which is half as much again of the amount originally envisaged. This increase is due largely to higher than expected costs of the firebox renovation and provision of replacement coupling rods. 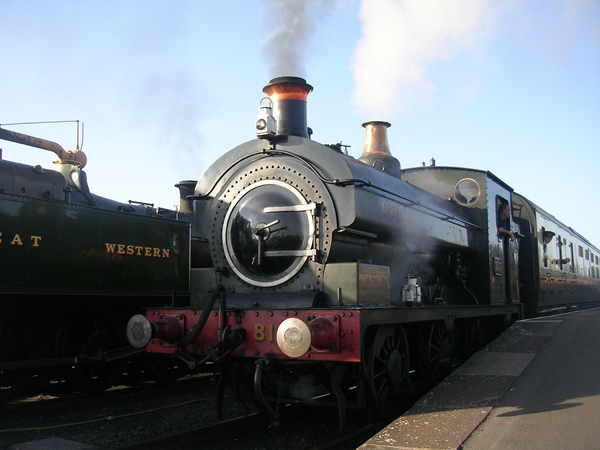 All the necessary finance for the project has to be provided by the GWR 813 Fund . If, therefore, you feel that the project is a worthwhile exercise and would like to see 813 in steam again by the end of 2015 you may consider making a donation to the Fund to help us meet the costs of the overhaul. All contributions, large or small, will be acknowledged and will be gratefully accepted. Cheques, etc should be made payable to the ‘GWR 813 Fund’ and forwarded to Pat Goss at the address indicated in the ‘contacts section.